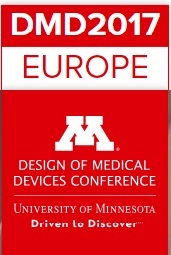 Lecture about ORCHID/hDMT: Title: “Organ-on-chip in Europe: Stronger together”. The University of Zaragoza organizes the 1st Workshop on NanoOncology. Presentation by Janny van den Eijnden-van Raaij, hDMT:/TUD, “Joining forces for the future in Europe”. Organ-on-chip networking in Europe: joining forces for the future. On May 15 Iñaki Ochoa (UNIZAR) gave a talk on microfluidics at the Bull McCabes in Zaragoza, as part of the event “pint of science“. The ORCHID kick-off meeting took place at the Leiden University Medical Center in the Netherlands on October 19th 2017. All partners of the ORCHID project presented their plans and discussed how to accelerate the societal and economic impact of Organ-on-Chip technology through coordinated action.